SANTA ANA, Calif. – A man was convicted and sentenced yesterday for burglarizing the homes of female college students that he found by using Instagram. Arturo Galvan, 45, Menifee, pleaded guilty on Sept. 19, 2016, to five felony counts of first degree residential burglary, one felony count of attempted first degree residential burglary, and one misdemeanor count of resisting and obstructing an officer. He was sentenced to eight years in state prison and was ordered to pay restitution to the victims. (Santa Ana) – The Orange County Health Care Agency has confirmed five cases of measles in Orange County in the last nine weeks, which is consistent with an increase seen throughout California. 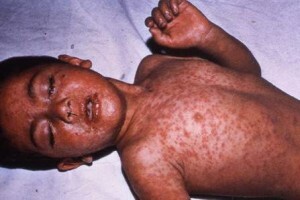 These cases raise the possibility that Orange County residents may be exposed to measles. The most recent case spent time in public locations in Orange County while contagious. “At a press conference this afternoon, Orange County officials said they had identified the body discovered Thursday afternoon as that of 36 year-old Maribel Ramos,” according to 89.3 KPCC.